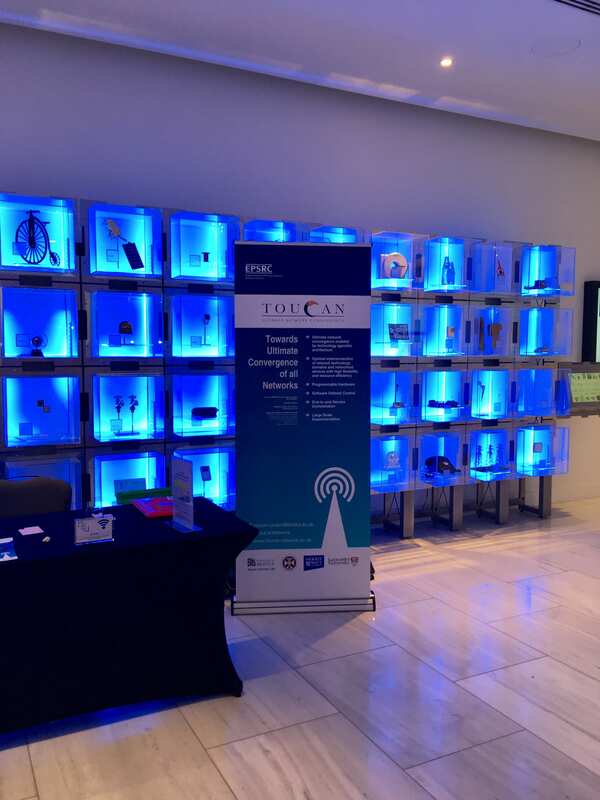 The TOUCAN Project hosted an Industrial Showcase Event at the IET Savoy, London on Wednesday 30th May 2018, where we presented the industry and academic impact of our research innovations and solutions. 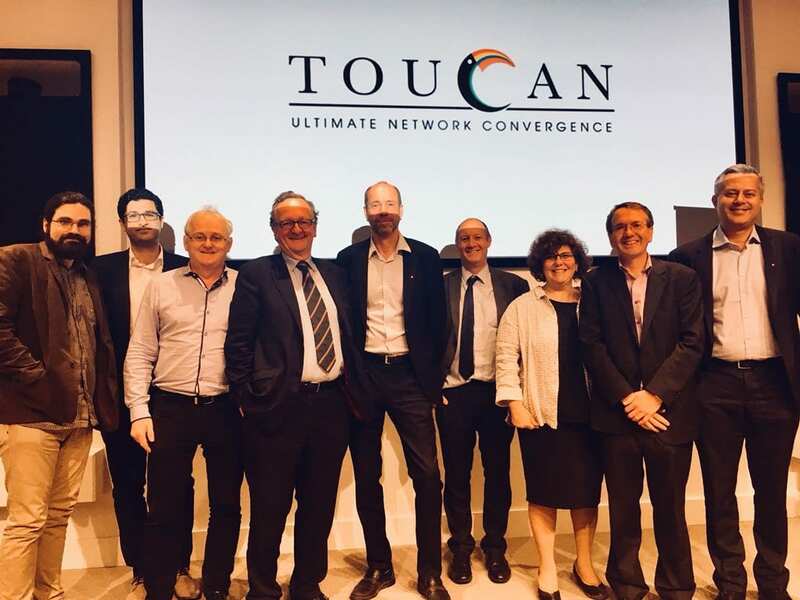 The audience comprised of the TOUCAN academic team from the University of Bristol, University of Edinburgh, Heriot-Watt University and Lancaster University, our industrial partners, and also representatives from a wider industrial sector. Many thanks to all the attendees, especially our speakers pictured below (from left: Dr Charalampos Rotsos – Lancaster University, Dr Majid Safari – University of Edinburgh, Prof Steve McLaughlin – Heriot-Watt University, Dr Michael Short – Department of International Trade, Dr Lauri Oksanen – Nokia Bells Labs, Dr Andrew Lord – BT, Prof Dimitra Simeonidou – University of Bristol, Prof Mark Beach – University of Bristol and Dr Mansoor Hanif – UK5G Innovation Network).